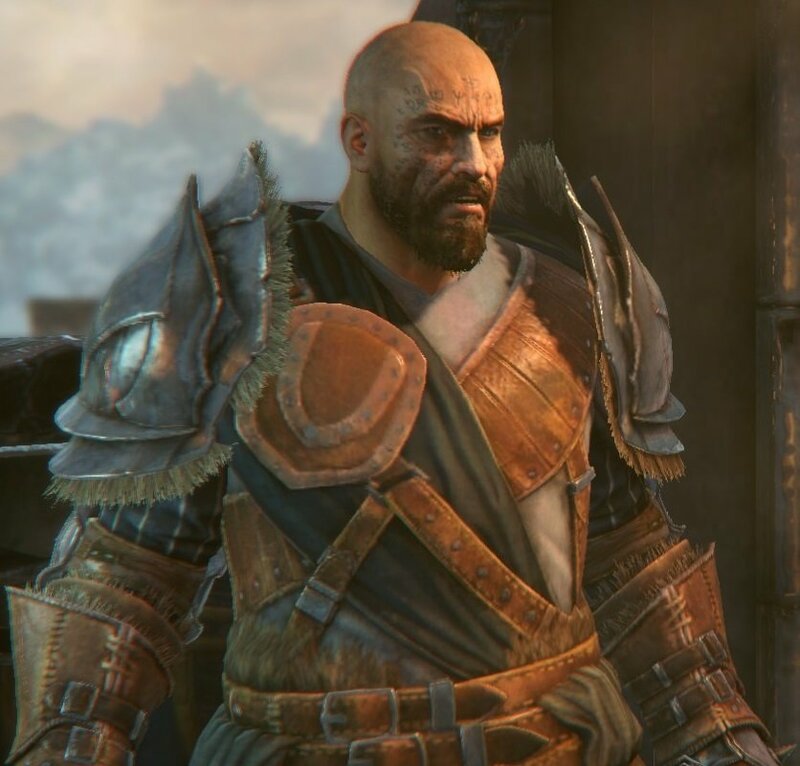 Harkyn is the protagonist of Lords of the Fallen. Unlike many other RPG games, the player does not create a custom avatar. Instead, players customize Harkyn by selecting a Magic Type and starting equipment (Warrior, Rogue, Cleric). These two factors dictate what class Harkyn will be. There are nine classes, and each has its own strengths and weaknesses. The world of Lords of the Fallen is unforgiving and brutal. No sin is ever forgotten; before imprisonment, every criminal is branded. The tattoo on his face shows everyone his sins. Harkyn, one such criminal, has been convicted for a multitude of transgressions. He is a man who refuses to live by rules he doesn't respect, and so he rots in a prison cell. Just when rulers of the world get close to finding a way to banish all evil from humans, an army of the long-ago defeated god attacks the human realm. Given a chance for redemption, Harkyn is released from imprisonment. With his warden, Kaslo, he sets in an unforgiving world where no sin is ever forgotten, Harkyn, a convicted criminal, is given a chance for redemption. Just when rulers of the world get close to finding a way to banish all evil from humans, an army of the long-ago defeated god attacks the human realm. Released from prison, Harkyn and his mentor, Kaslo, set out on a mission to stop the war.